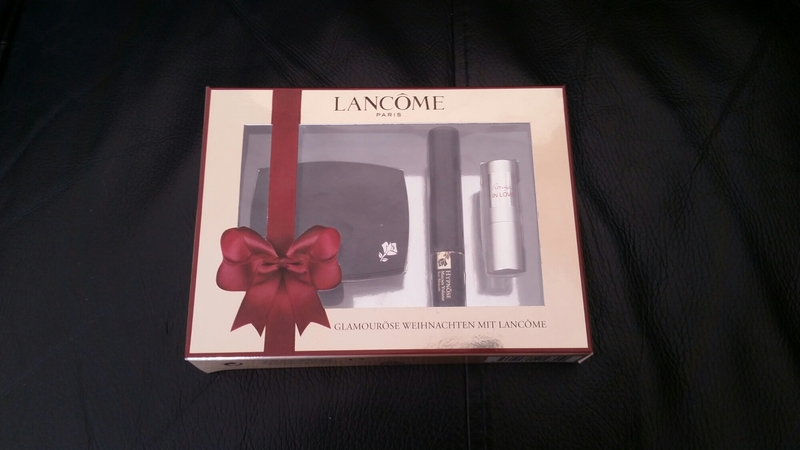 For Christmas I got this cute box of Lancome minis. As a big fan of the brand I was excited to try them out, especially as it features all products I’ve never tried before. So here’s my review of each product. So when I first saw this in the box I assumed it was a blush, but it’s in fact a sheer blurring powder. 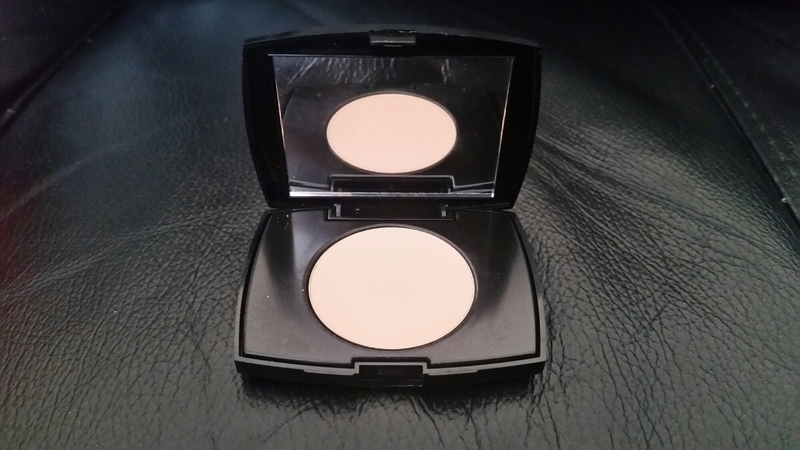 The powder comes in a small plastic case with a mirror, and I received this product in the lightest shade 01. There is a good range of darker colours that you can buy full sized, but I like that this powder adds no colour to my skin and looks pretty much invisible on top of my foundation. Lancome describe this blurring powder as being mattifying and as having a radiance boosting effect, which is partly true. This mattifies my combination skin reasonably well, but I found it does feel a bit drying on my skin. Overall, I have been using this product a few times a week as it does an okay job, but I wouldn’t purchase the full sized product. 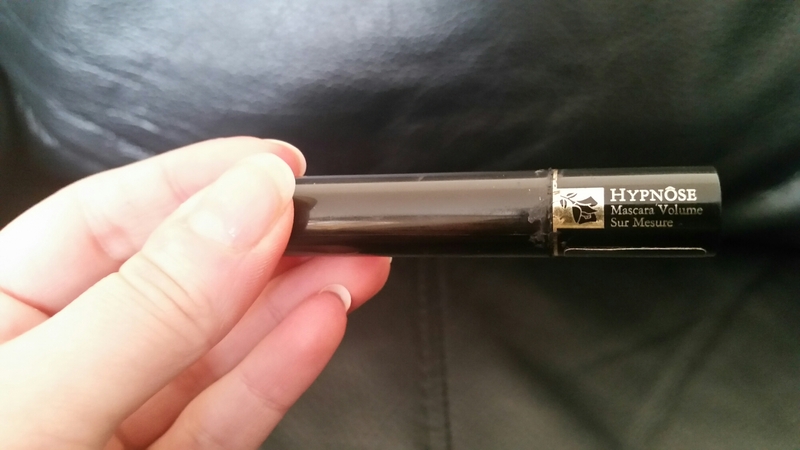 My absolute favourite mascara is Lancome’s Hypnose Drama, so I was looking forward to giving the original mascara a try. My initial thoughts upon using this was that it was disappointing, as the Drama mascara adds so much volume and length, whereas this original mascara only provided length. However, since using this product more, I’ve fallen in love with it! It separates lashes perfectly and gives brilliant length, with absolutely no clumpiness. 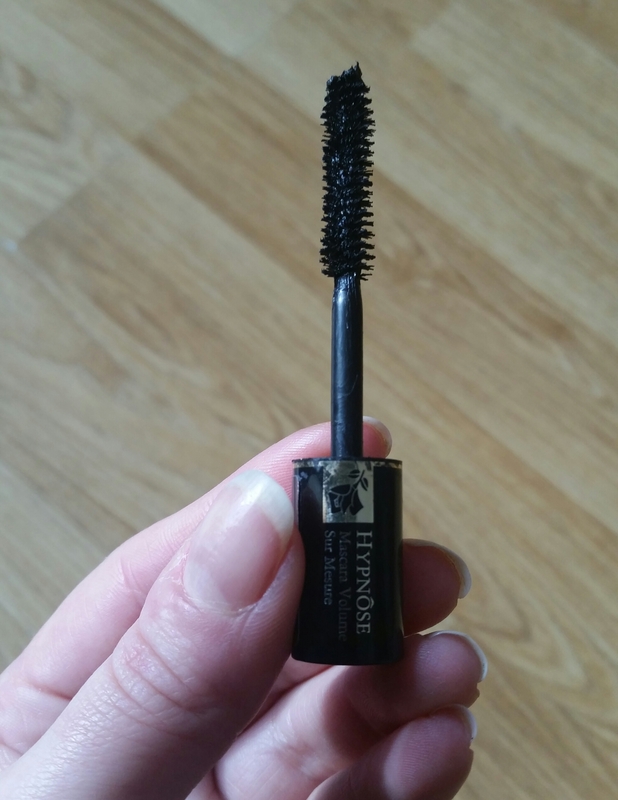 I’ve been using this daily instead of my usual Hypnose Drama, so I would definitely purchase the full sized mascara. The third and final product in this set is a mini lipstick. I have to admit that I don’t own many lipsticks as I often find the formulas too dry, but I was looking forward to giving this one a chance. 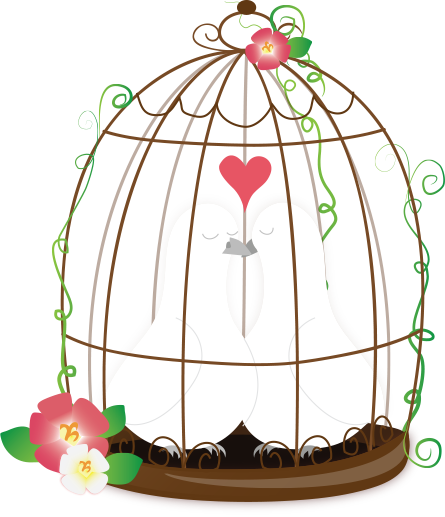 Initially I hated this product. 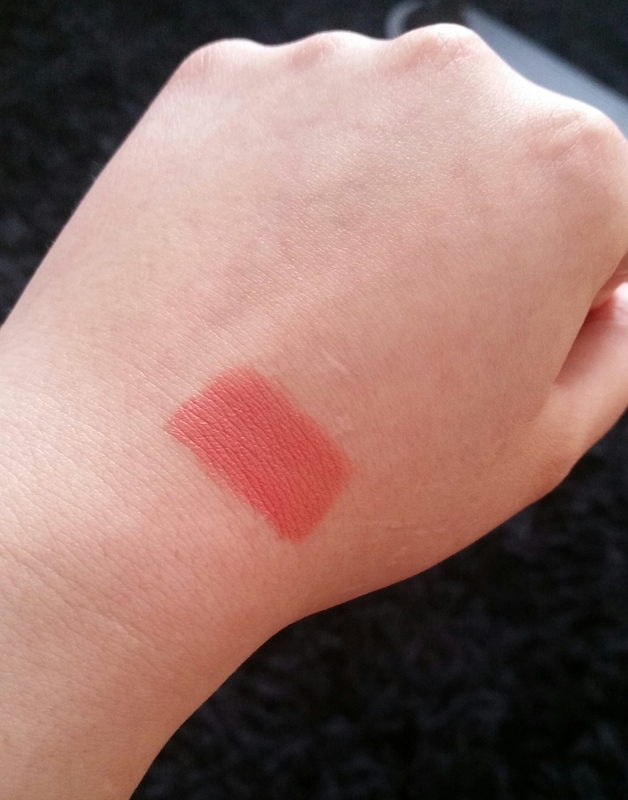 Despite the name implying it would be a coral shade, it’s very much an orange colour on me. I tend to wear pinks and steer clear of warm oranges and corals as they can be too garish for my cooler skin tone, but this lipstick has grown on me. 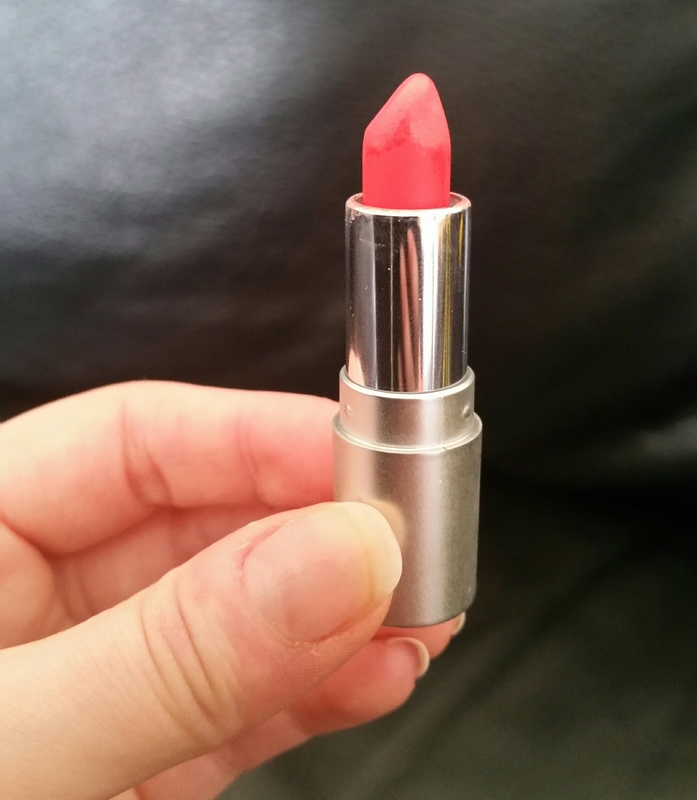 As well as liking the colour, the lipstick applies smooth and hydrating, but not too wet. Below is a photo of me wearing this lipstick. However, the lasting power of this lipstick is a huge problem! It bleeds and smears worse than any other lipstick I have ever owned and it doesn’t work well used with lip liner. 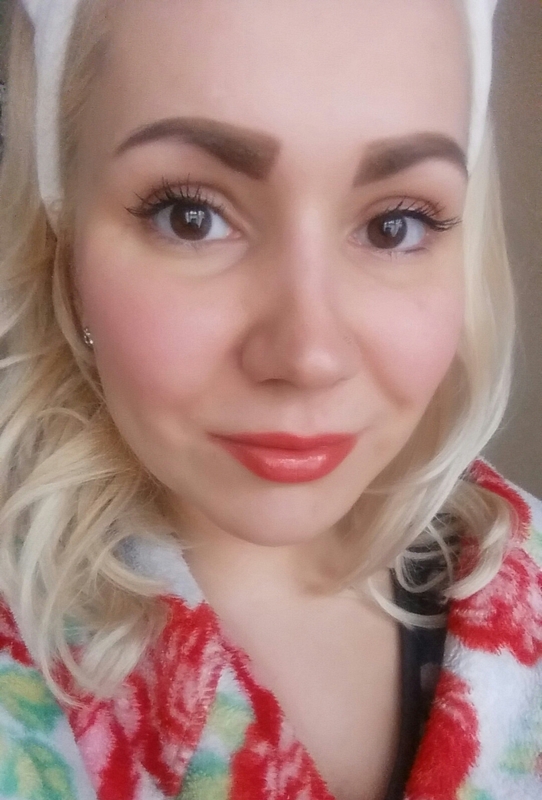 I applied a light coloured lip liner, hoping to keep this lipstick in place, but it made the lipstick a dull coral, that felt dry and patchy. I have say that if the lipstick would stay on my lips then I might have purchased the full sized version of this, but the formula is nowhere near good enough for me. So that’s my thoughts on three of Lancome’s products. 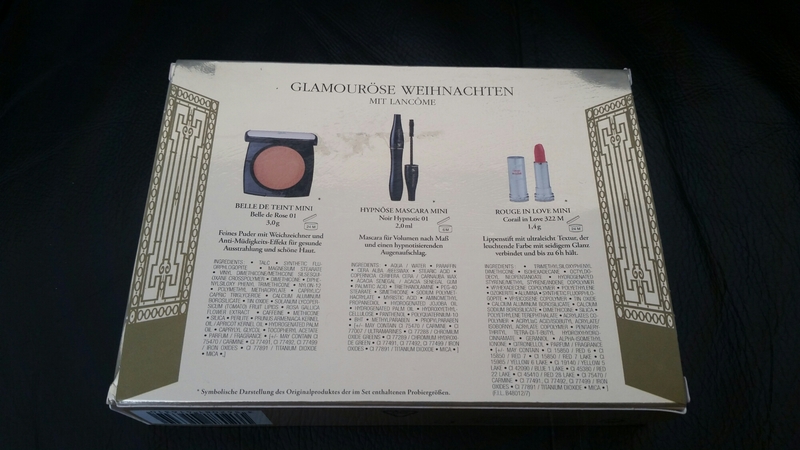 Let me know if you’ve tried any of these makeup items.